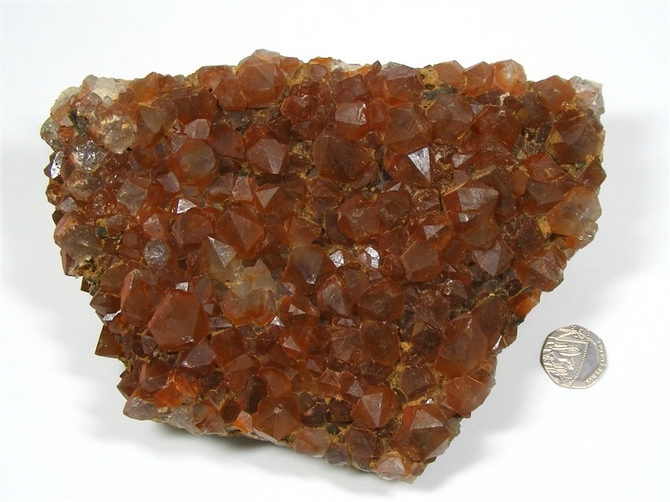 Tangerine Quartz is found predominantly in either Brazil or South Africa and can be anywhere between a light orange tangerine colour all the way through to a deep rust red colour. This wonderful piece is at the deeper end of the colour range. 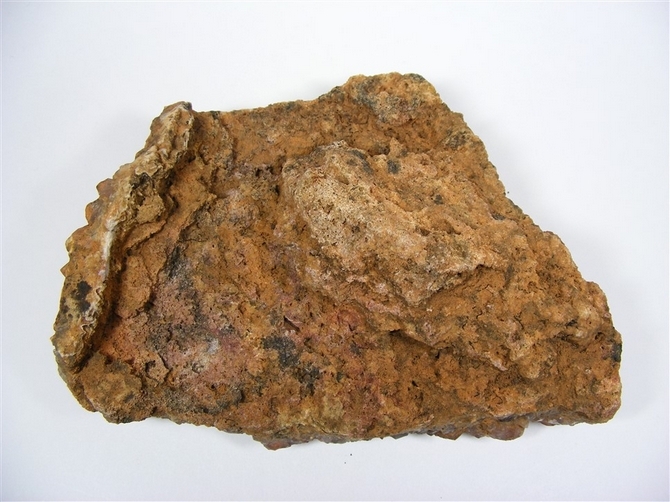 This piece is a large specimen with good well formed points and a strong deep colour. The points are in very good condition and the whole piece displays very well indeed either way up - with the narrower end at the top or at the bottom. at 170mm and over a kilo in weight, this is a substantial piece for your collection, your living area, your meditation area or indeed, for a crystal therapy room. This is a large, deep and meaningful crystal. 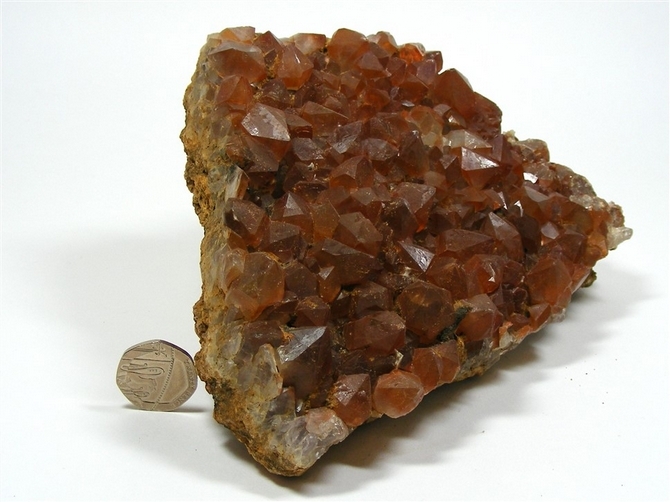 Tangerine Quartz has a general harmonising effect on all parts of the body. It is good for general healing as it helps to speed up the whole healing process. Tangerine Quartz is extremely helpful to us when we are working on our own inner emotional issues as it helps us to better see where we need to make changes in the way that we interact with people and the way that we are. Tangerine Quartz allows us to let go of past issues that may be holding us back and helps us to understand the bigger issues that may be affecting our lives. If your life seems to be always filled with chaos and drama then Tangerine Quartz can help you to find that "calm centre" where you can relax and find some peace. It gives us strength to carry on and helps us to feel less vulnerable when situations arise that may be demanding or even threatening to us. Tangerine Quartz brings the Orange Ray into our lives and can make us feel much more creative, playful, happy and inspired. It stimulates new ideas and helps us to accept change. It makes us more outgoing and friendlier and can be helpful in integrating all parts of family life. Working on the sacral chakra it can also stimulate feelings of sexuality and passion. 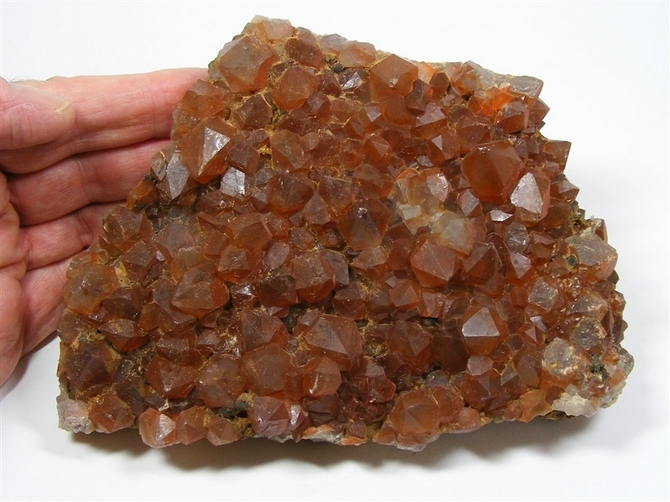 Tangerine Quartz helps to show us that there is so much more beyond our own limited belief system. It is useful in soul retrieval where the soul feels that it has made some mistake or error in the past for which it must now pay. Working with Tangerine Quartz helps the soul to overcome this feeling and to fully integrate and become whole again. 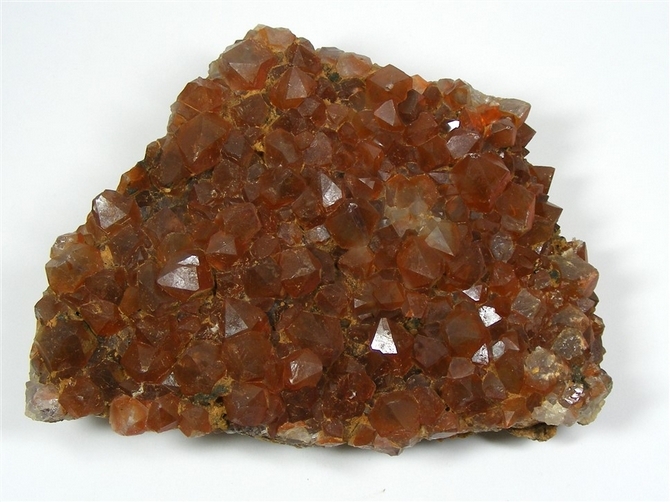 Tangerine Quartz also helps with any necessary healing should we be unfortunate enough to be the victim of a psychic attack.